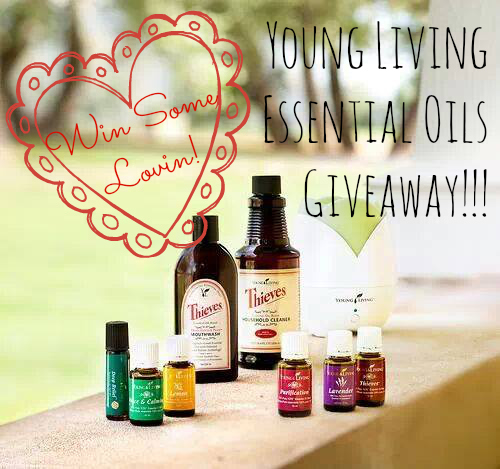 Young Living Essential Oil Giveaway! Hi everyone! I am Deborah Scharrer. I have been blessed to be married just shy of 10 years to my wonderful husband Hans and we have four beautiful Gifts From Above ages 8 yo- 7 months. I am a SAHM well I guess really work at home Mom with a passion for healthy, natural living using God's gifts. My Facebook page Gifts From Above has become like a blog to share about my faith, family, soap berries and Young Living products! Hans and I joined Young Living about 11 years ago. We were introduced to Young Living through Hans' mother. I hadn't been raised in a 'natural' health home so the essential oils were very new to me. Learning more from attending events, reading the Essential Oils Reference Guide, and listening to educational CDs solidified our excitement in using the Young Living products. More recently, I began holding educational classes on essential oils and other health care topics. From those classes came the re-birth of our Young Living business. Young Living is an international leader in essential oils due to their strict quality control. They operate seven farms through out the world including two in Utah and Idaho. They have paved they way in research and continue to support the areas where their other farms exist. The plants are substantially harvested and organically grown on farms. Sharing these wonderful gifts of essential oils God has given us with is so rewarding! It is great to help people find a natural means to health. My goal is to share what has worked for us and many others. One great tool we refer people to is the following website OilTestimonials.com. Here you can search by ailment to read other's personal testimonials of what helped them. This week I am happy to gift a 15ml bottle of lavender and info sheet for usage of the every day oils kit to one of you! Lavender Oil is often called the 'Swiss Army Knife' because of its versatility. It is very calming emotionally. It is great for burns and soothing to the skin especially scrapes and bug bites. Lavender acts as a natural antihistamine so it works well for my daughter's seasonal allergies and occasional hives are relieved quickly. I've also used it to relieve ear aches and pink eye! Young Living Lavender Oil can be used in cooking, as it is safe to ingest or apply topically as well as diffuse for a pleasant and calming aroma. Want a natural spa treatment? Once a week for 20 minutes, sit in a hot bath that contains a handful of Epsom or sea salts, 10 drops of lavender essential oil, and 1/2 a cup of baking soda. This combination draws out toxins, lowers stress-related hormones and balances your pH levels. You can reach me at spscharrers@gmail.com or order using my #801705 in the Enroller and Sponsor areas at the Young Living website. Congratulations Elizabeth S - you won the giveaway!